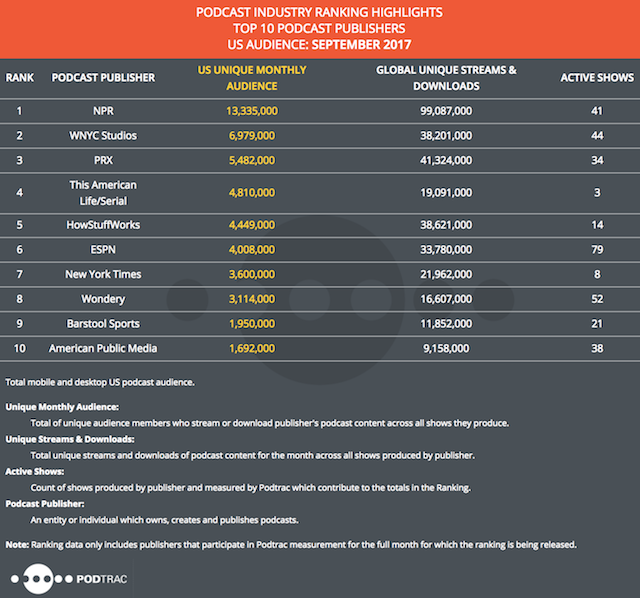 Podtrac has published its September 2017 podcast publisher rankings. It marked a somewhat unusual month, as the list of the top publishers showed no changes in names or order from August. NPR continues to be a dominant force atop the list. Podtrac calculated NPR’s U.S. unique monthly audience at about 13.3 million and its global unique streams and downloads at just over 99 million. 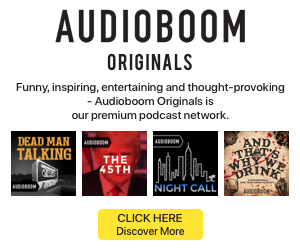 Only publishers that have signed on to use Podtrac’s measurement tools for the whole month are eligible for this ranking.